Jennifer T. (33), Arabian Radio Network Digital Manager, UAE. “I have lost 3.8 kg in 12 sessions, 12.5 cm from my waist, stomach and hips. Delighted doesn’t even come close. 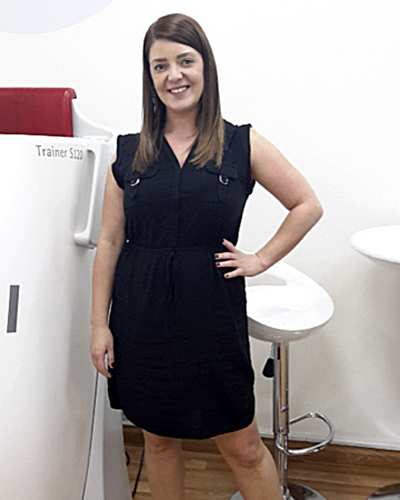 The best thing about BodySmart and HYPOXI is the staff, their upbeat spirit, and encouraging words, ensures the studio is always full of smiles and a really nice welcoming atmosphere.